The Wrestling world suffered another huge loss with the passing of "The Italian Superman"
Wrestling icon Bruno Sammartino died Wednesday as announced by WWE on their website. The legend was 82 at the time of his death. 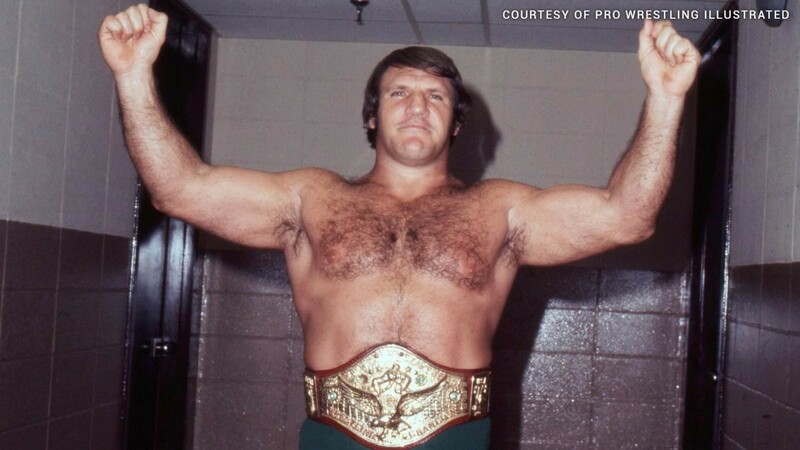 Sammartino is widely considered as one of the all-time greats regardless of era and was the one of the first megastars of the business during the early days of the WWE. Going by the nickname of "The Italian Superman", Sammartino was considered one of the ultimate good guys in the ring. Sammartino endured a tough childhood growing up during the World War II in Abruzzi, Italy where the country was under Nazi occupation. He and his mother hid in the mountains of Valla Rocca before eventually escaping to the United States to join his father in 1950. It was during this time that a young Sammartino started lifting weights and soon caught the eye of one of the WWE's forefathers Vincent J. McMahon, who introduced him to Professional Wrestling. Sammartino quickly became an overnight sensation thus making him an instant fan favorite especially after defeating Buddy Rogers in front of 20,000 fans at Madison Square Garden in 1963. It took only 48 seconds to become the second-ever WWE champion that night. He held the WWE Championship for eight years before dropping it to Ivan Koloffin 1971. During this time, he entered some of the most notable rivalries in WWE history as he faced the likes of Killer Kowalski, Gorilla Monsoon and George “The Animal” Steele. It was an emotional night when he lost the title in 1971 but won the title back in 1973. He became the first person to ever hold the title twice and held it for an additional three-and-a-half years. In 1980, Sammartino once again broke box-office records for the sport at that time when he faced his former protégé, Larry Zbyszko. He and Zbyzko performed in front of a sold out crowd of 35,000 people inside New York City’s Shea Stadium in what was a grudge match. Although Sammartino would retire the following year, he would then return as a broadcaster in the 1980s with a then young Vincent Kennedy McMahon. His hero image was solidified as he also feuded the era's top heels at that time such as “Rowdy” Roddy Piper, “Macho Man” Randy Savage and The Honky Tonk Man. Sammartino's star power and influence will always be remembered and was finally validated when Arnold Schwarzenegger inducted him into the WWE Hall of Fame in 2013. It was that night that Sammartino headlined and sold out Madison Square Garden for the final time. VAVEL would like to extend its condolences to the family of Bruno Sammartino as well as the friends and fans who mourn in his passing.